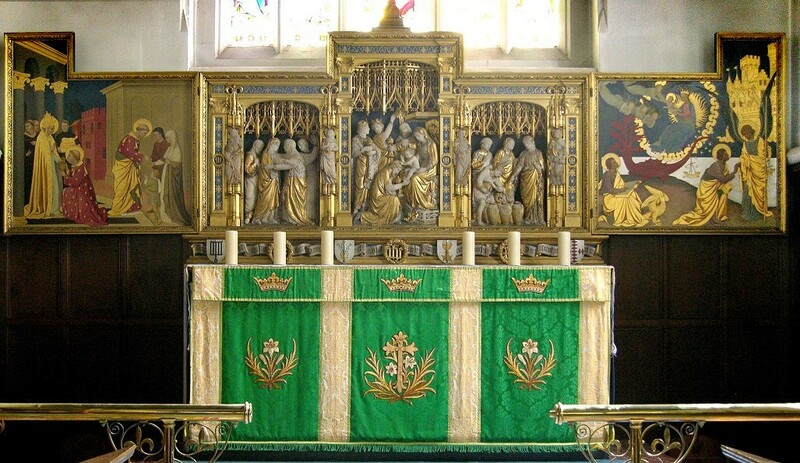 In 1915, a beautiful reredos was installed behind the high altar: this is the work of the famous Church architect, Sir Ninian Comper. The reredos takes the form of a triptych: during Lent, the outer two panels are turned in to cover the centre panel, so that the triptych is not on show. depicts St. Lawrence distributing the wealth of the Church to the poor. shows scenes from the Book of Revelation.